*Free to attend, but bring some cash for food from food trucks. 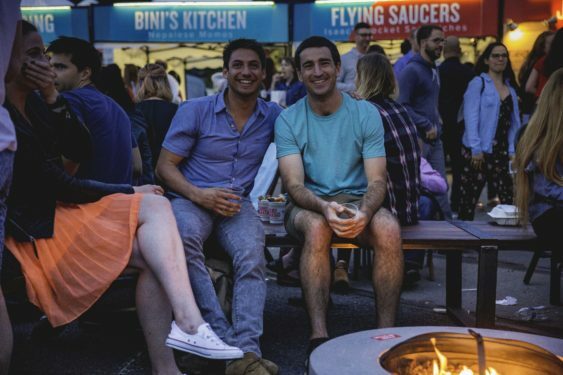 More than 30 food vendors, with a full bar and bands and DJs? Now that’s a party; it’s also California’s largest weekly street food market. Discover everything from Beijing-style crisp-fried crepes (Jianbing) and Filipino desserts, to handmade pasta, Neapolitan pizza, and Haitian pork griot – along with sheltered lounge spaces and communal firepits. Off the Grid is a weekly outdoor mobile food bonanza staged every Friday from 5-10 pm at the historic waterfront campus of Fort Mason Center. Music (not yet confirmed for 2019): DJs and live music every week. DJs are from 5-8, live music from 8-close. Many of Off the Grid’s most popular creators have also returned for the 2019 season. Returning guests will be delighted to find favorites including La Cocina alum and momo master Bini’s Kitchen, empanada whisperer El Porteño, and Filipino-Mexican trailblazer Señor Sisig along with a rotating showcase of chefs and 6-week showcases of budding entrepreneurs as part of Off The Grid’s incubator program. Don’t miss the whimsical new night market-inspired experience design, which will feature 200 silk lanterns sourced from Hanoi, and vibrant neon signage. Fido Friday – Every third Friday – Beginning March 15, guests are encouraged to bring their dogs to the party. Off the Grid will offer Yappy Hour specials from 5:30-6:30 pm (10% off Rye on the Road drinks with your pup in tow), and there will be a featured “Hair of the Dog” cocktail. Special treats and “Paws for a refresh” doggie bowl and bag stations will be available for all canine guests, as well. Fog Appreciation Night – July 26 – Summers in San Francisco infamously often mean fog and wind. 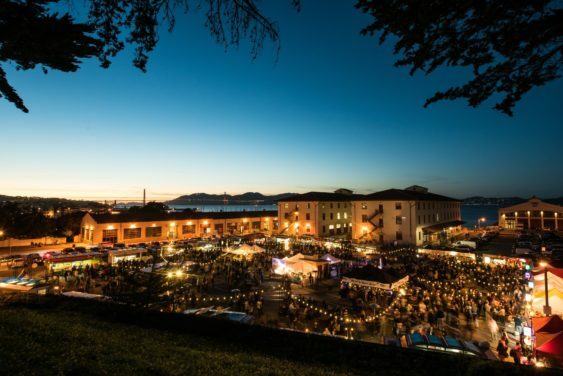 Off the Grid Fort Mason celebrates the microclimate with Fog Appreciation Night on July 26, as a special tribute to local celebrity Karl the Fog.